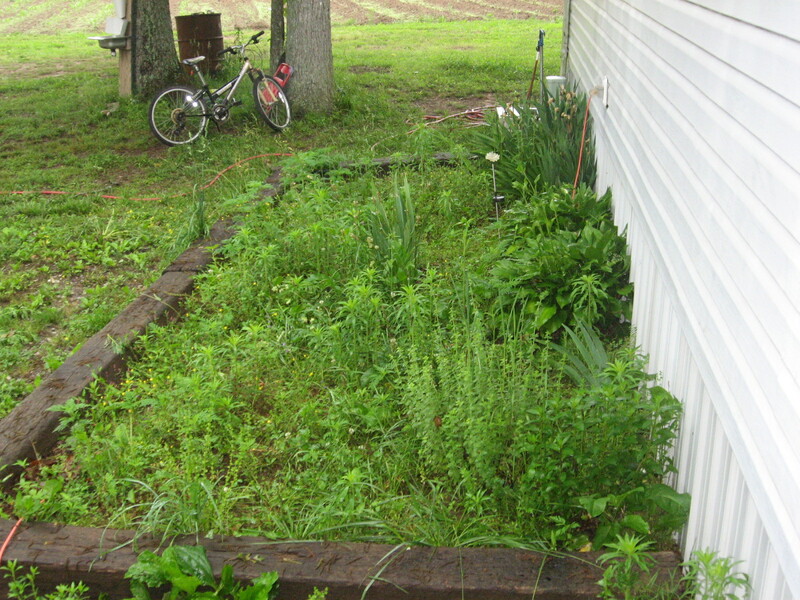 Yeah, my herb garden needs…um…what’s that word? Oh yeah-work. 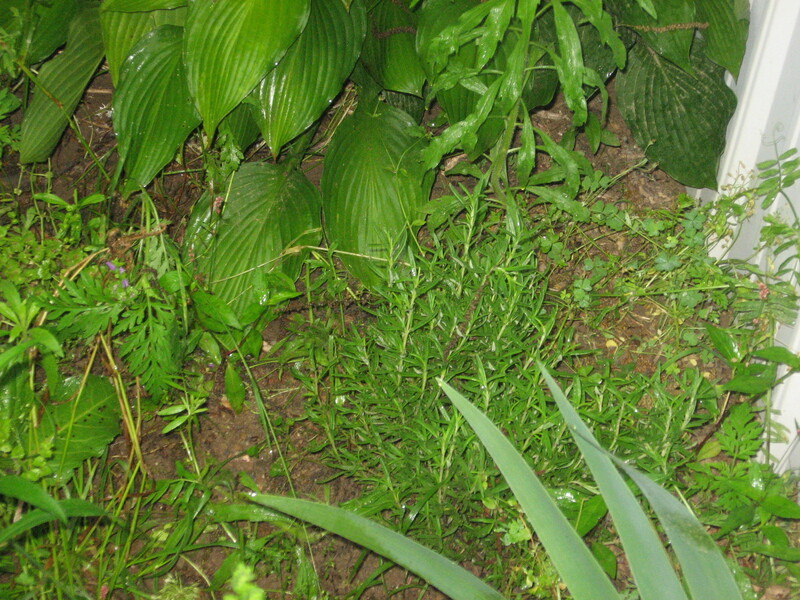 But let’s face it, if these herbs can survive this spot year after year, then you can grow them too! First off is mint. I’ve never bought mint. Some people can’t get rid of it. 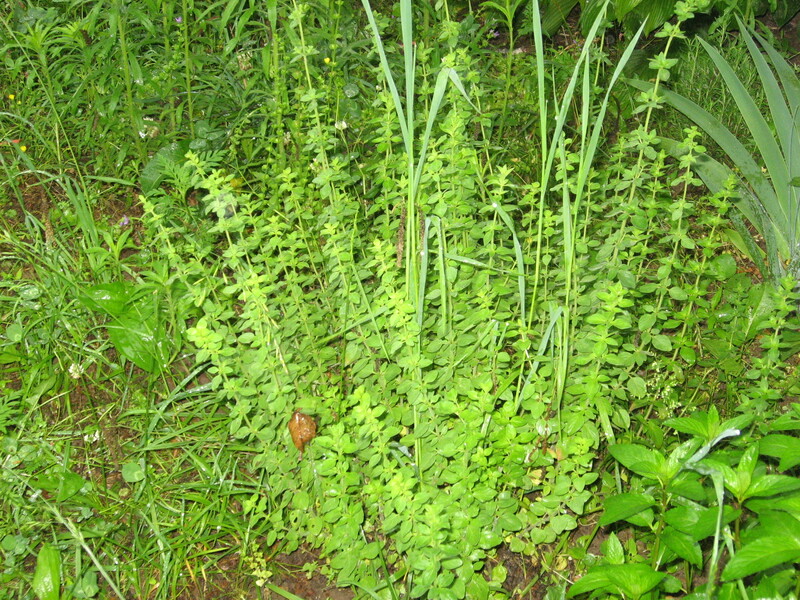 It’s like a weed. It smells and tastes like spearmint flavoring. Chew it up, put it on your lamb, put it in salads, make tea, but growing it? Not a problem! Dig a hole, put it in, fertilize with your favorite fertilizer, and leave it alone. You may need to water it during drought or to get it started while it’s making it’s new home. It comes back in the spring. It is very hard to kill. To the left of the mint in the above picture is oregano. Oregano can actually survive the winter and come back in the spring. I have an oregano bush that did really well until the chickens enjoyed it a little too much, and then the ducks sat on it every day…. Now, basil. Keep your basil potted, or dig it up every fall. It will have to be overwintered in a pot indoors. You can save seed from it every fall to grow new the next year if desired. Basil turns into an amazing bush that takes over for me. Unfortunately, it won’t survive the winter here. If you’re lucky, you can take the seed and grow it in your herb bed every year. 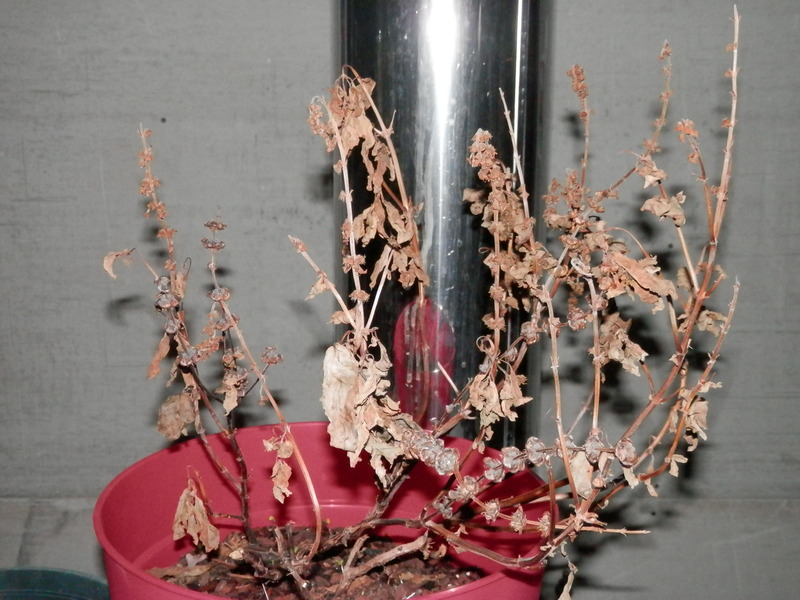 (This is basil after winter death. The seeds are harvestable at this time. They will also fall naturally and regrow in the same pot next year-or at least mine did.) This year’s basil is currently 3 feet tall. I hope this helps. 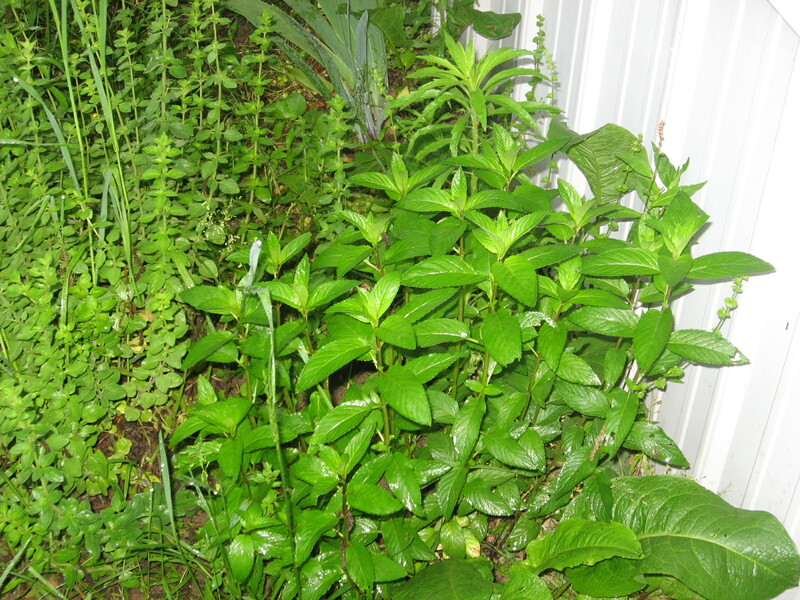 I had no idea what I could and could not grow here, but I have found herbs need love and care that first year to get established, then, the ones that survive the winter naturally, pretty much take care of themselves.